Risk management is an integral part of day-to-day business activities in many industries and the offshore & marine industry brings along its own inherent areas of risks - ranging from non-compliance of assets and in accordance with legislative bodies, major cost or schedule overruns for projects, asset safety, asset damage, business interruption, pollution, and injuries to people as key examples in addition to common or standard risks inherent in most projects. In the oil and gas industry, managing marine-based projects in an offshore environment is increasingly complex. In this GLOMACS Project Risk Management training seminar, you’ll work through the proactive approach to both sides of risk: threats and opportunities. 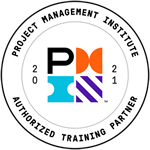 The interactive approach is based on PMI® RMP methodology and designed to provide both qualitative and quantitative approaches to risk management allowing delegates to enhance risk management awareness to ensure they can manage projects better - minimising project cost / schedule overruns and thus improving project execution. Participants will receive a thorough training on the subjects covered with the instructor utilising a variety of proven adult learning teaching and facilitation techniques. Training Seminar methodology is designed around a PMI® RMP syllabus and includes an insight into appropriate methods as well as industry tools and processes used as practice examples. This training seminar includes teamwork around an applicable offshore case study, with group discussion and critical analysis of project stakeholders and project context culminating in team project presentations allowing demonstration of practical execution of the tools covered.